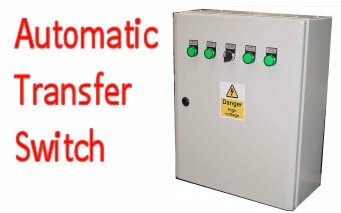 Our generator Automatic transfer switch (ATS) panels or Changeover Panels are specified by the size in amps and the required control module, new control module updates are released regularly so please enquire if you do not see the configuration or manufacturer you require. All panels use the highest quality switch gear and can be amended to your specification. Please note additions' may require a larger enclosure. We supply both single phase ATS panels for residential use and also 3 phase automatic transfer switches for commercial or industrial applications. Some ATS panels require a D.C power source to operate(12vdc or 24 vdc), this is usually fed from the generator starting battery. However if this is not possible a self seeking power supply can be supplied. Generator automatic transfer switches are used where the local utility mains supply is backed up by an appropriately configured Generating set with a 2 wire start facility autostart generator control module fitted. The ATS panel monitors the local mains supply and will request the generator to start if this supply should fail, or fall outside preset limits. The changeover switch will then control the switching of the load from the local supply to the generator. On return of the local supply the ATS panel will monitor the Supply to ensure it is stable and then transfer the load from the generator back to the local supply. Our ATS panels using a control module will run the generator for a pre-determined time to allow for any cool down periods required for the generating set. Once this time has elapsed the automatic transfer switch will request the generator to stop. Our mid range and higher specification ATS panels use the latest microprocessor control modules to enhance and provide maximum functionality. Various timers are included in the controller to prevent nuisance starting of the generator due to minor breaks in the local supply. Installing an generator ATS panel means that the generator does not need to be switched on manually once the mains power supply has failed. It detects when the mains supply has failed and switches it on for you without any need for supervision of the changeover. They are must when essential electrical hardware needs to have a continuing power supply and a back-up generator is the only option. If there is a second mains supply it is possible to use a mains to mains automatic transfer switch. Residentail properties with a domestic power supply (single phase) and a back up generator can also benefit from generator change over switches to keep the lights on when there is a power cut. This is a very good option for isolated properties. Alternatively we also sell Automatic Mains Fail (AMF) panels that can control changeover at the site of the generator.